After 43 years of life on this earth, I’ve had some serious trials and tribulations when it comes to my hair. I’ve fried it, dyed it and almost crucified it. It’s a wonder I have any hair to this day. Fortunately, it all starts new right out of the scalp and over time if you haven’t damaged your hair follicles, your hair will forgive you. One of the most critical components of any hair care regimen is detangling. You can’t wash your hair before detangling it. Well, you can but the results would be less than stellar and the risk of breakage is increased. You also can’t style your hair without detangling it. Over the years I’ve detangled my hair dry and wet – with combs, brushes and with my fingers. What I’ve learned is that my fine hair is better cared for with finger detangling. Finger detangling reduces the risk of breakage because you can better feel the tangles in your hair, causing you to be more gentle with it. Using a comb to detangle your hair could cause avoidable breakage because since you can’t feel the tangles, you use the comb to rip right through it. Not good if you are trying to maintain length. The products you decide to finger detangle with are also as important as the finger detangling process. I finger detangling and pre-poo simultaneously. I used to use Vatika coconut oil to accomplish both. I really love Vatika oil. 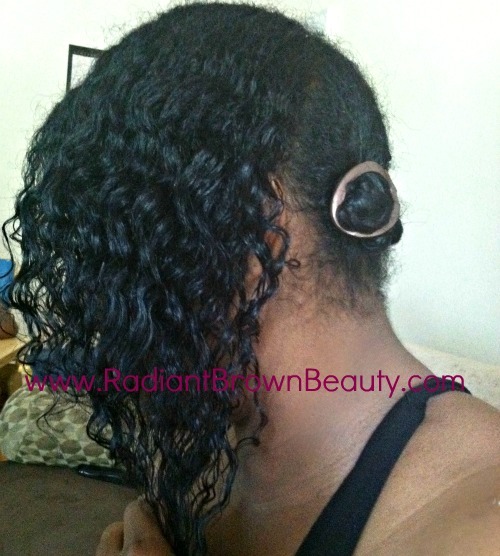 It helps add slip to the detangling process. It also helps protect your hair from damage caused by water “weakening”, known as hygral fatigue. Beginning at the ends of a section of hair, I begin to finger detangle working up to the center of hair. Then, I reverse the finger detangling direction and work from the roots down. The reason I added Shea Moisture’s Curl Enhancing Smoothie to the process is because it helps make my hair virtually tangle free after washing. 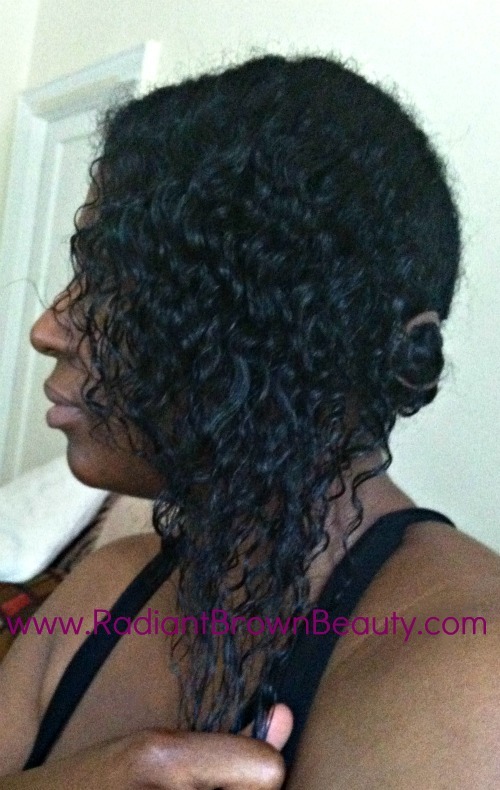 It also helps restore a lot of my curl which tends to loosen throughout the week. It’s funny too because when I initially reviewed a number of Shea Moisture products, I was not really impressed with the smoothie. As it turns out, I’m not a fan of it for styling (UPDATE: That’s changed too! Love it for a wash and go and to set damp twists) but for finger detangling, it’s the bomb. 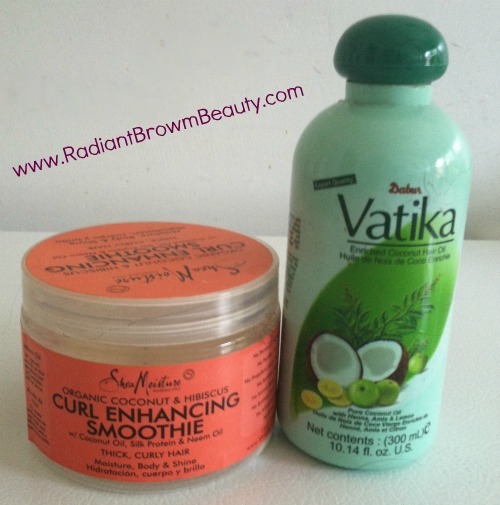 Using the Vatika Oil to pre-poo is helpful but adding the smoothie was like adding a meltable butter to my hair. This greatly increased the detangling process. Next PostAubrey Organics Makes My Twist Outs Fierce! ha ha guuuuuuurl. I just may. I buy mine online but I do get a lot of other stuff with it so that’s why the shipping doesn’t bother me. but I’m sure you can find it at many other stores in the US. It smells heavenly too. ooooo Rume thank you girl! I have to check this out. I visited the link and the ingredients look good! maybe we should write the co. and tell them to take it out! I have a brand new bottle of VCO that I was using to make my Whipped Shea Butter so I guess I’ll use that and get whatever coconut oil is on sale at Whole Foods going forward. Okay, I had to research some more, because my heart was breaking! And guess what? We can breathe a sigh of relief!! The ingredient in Vatika oil is T-BUTLY hydroquinone (TBHQ). It is a preservative with a 2 rating in the cosmetics database (0-2 rating is a low hazard)!! Now, hydroquinone alone is 10 (high hazard)!!! So, we are good!!!! Wooh!! Whew Shelli! you almost gave me heart palpitations LOLOL! IKR?!?!? I was giving them to myself too!! Sorry!! LOL!! But, at least we’ll know if anyone asks us about it in the future!! !